Fit Factory is the only CrossFit gym located in the heart of West Hartford Center. We offer group fitness classes and personal training specializing in CrossFit, boxing/ muay thai kickboxing, Pilates, and Yoga. Our classes are taught by professional coaches who are masters of their respected crafts. Fit Factory coaches use multiple techniques and training tools to constantly challenge and engage our clients. Attention to detail through our in-depth weekly programming allows clients to workout with us everyday and stay healthy, safe, strong, and motivated!! Breaking past previous fitness barriers and enjoying the community environment is what makes Fit Factory the place to be! Our educated and versatile instructors place an enormous amount of importance on proper form during our workouts. We are here to build you UP not break you down. Learning the details of our training techniques allow clients to understand the reasoning and benefits of our workouts. We teach clients to not just do “workouts” but to TRAIN, and to train perfect. Parking is always available in the parking garage located at the top of Memorial Rd. and South Main St. Additional parking can be found surrounding our building on off-peak hours as well as metered street parking on Lasalle rd, Farmington Ave, and South Main. Come train at the NEWEST gym in CT’s hotspot of West Hartford Center today!! Looking to lose about 20 lbs or more before my 30th birthday. How much is it to join that gym and how do you sign up for the trial class? Thank you and hope to hear from someone soon! Fit factory is fabulous. Look on the class schedule and choose when u would like to drop in. Coaches and students are awesome, friendly and welcoming. You will be challenged and enjoy your workout. I’m thinking of starting Crossfit. Can I stop in to talk with someone about it? Absolutely. Just let us know when your thinking if coming by. Fit Factory is the West Hartford's Group Fitness Gym. We offer group fitness classes and personal training specializing in strength and conditioning, cardio endurance, boxing/ kickboxing, Pilates, and Yoga. 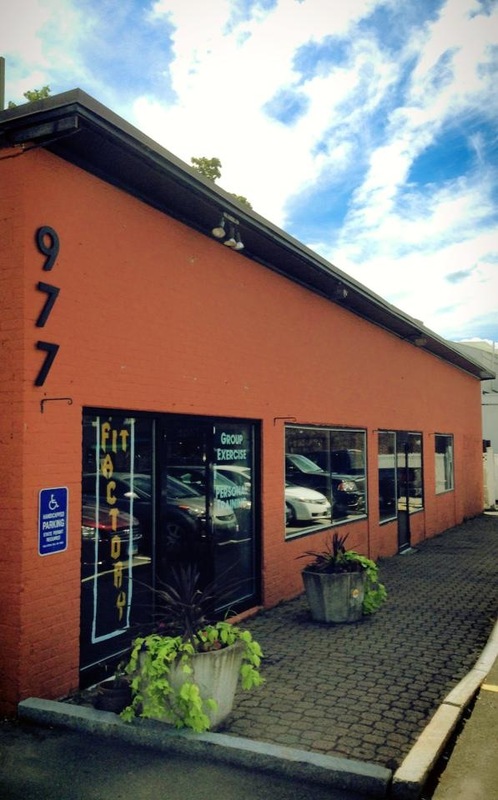 Fit Factory CT is located in West Hartford, Connecticut behind Grant's and Toy Chest in West Hartford Center. Fit Factory is owned and operated by Mark Balkun, Kevin Doyle and Russel Leak.